A credit report is your financial historical data. It tells potential creditors how much you owe and whether you pay your debts as agreed. 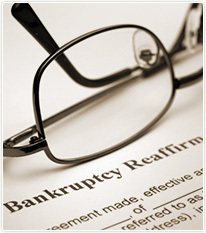 A bankruptcy discharge will eliminate your obligation to pay a debt but it will not erase the creditors from your report or change the record of your pre-bankruptcy payment patterns. After you receive a discharge through bankruptcy, the Fair Credit Reporting Act requires that all balances on your credit report must be listed as having a zero balance. Your Fort Lauderdale bankruptcy can be reported on your credit report for up to 10 years from the filing of a Chapter 7 bankruptcy case. Start your dispute directly with the credit bureau, not the creditor. Contact the creditor in writing with the disputed information and a letter. Maintain all records of your dispute, and when sending mail, send it "return receipt requested." Take notes of any telephone conversations you have and make note of the other party's name, date and time of day. If you file online, print out everything and save your records. Be patient. Resolving disputes can take months, especially if your report contains multiple errors. Credit repair companies may solicit you to let them "repair" your credit for a fee. Save your money. If you feel that your credit report contains errors, you can challenge the information yourself under the Fair Credit Reporting Act ("FCRA"). Under the FCRA, the reporting agency must verify the accuracy of the information within thirty days. If they can't do that, they must remove it. You can get a free copy of your credit report here. If you have any questions about your credit report, we are happy to answer them. Call our Coral Springs bankruptcy attorney office if you live in Coral Springs, Fort Lauderdale Pembroke Pines, Weston, Miramar, Hollywood, Plantation or Sunrise and get your questions answered by a Fort Lauderdale bankruptcy attorney.